Today is the birthday of ‘Sharad Joshi’, a man who was known for being an excellent hindi poet, writer, satirist and a dialogue and scriptwriter in Hindi films and television. He was awarded the Padma Shri in 1990. Do you remember, a few month ago, a show named ‘Lapataganj’, was broadcasted on a national channel ‘SAB TV’. The Subtitle of the show featured the name, Sharad Joshi, as ‘Sharad Joshi Ki Kahaniyon Ka Pata’. Not just one show, Shree Joshi has also been featured in various Films and other TV shows also. Lets know more about this great personality today. 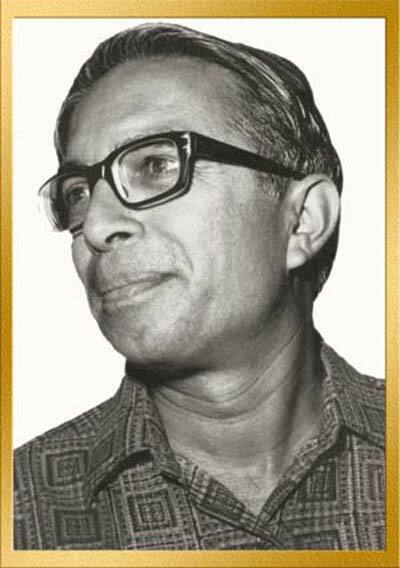 Sharad Joshi was born on 21 May 1931 in Ujjain, Madhya Pradesh to Sriniwas and Santi Joshi, a second child in the family of two sons, and four daughters, Sharad was interested in writing right from his childhood. He gained his B.A. from Holkar College, Indore. Sharad Joshi started his career writing for Newspapers and radio in Indore, where he met Irfana Siddiqi, whom he was to later marry. His short satirical articles were published in prominent Hindi newspapers and magazines including Nayi Dunia, Dharmyug, Ravivar, Saptahik Hindustan, Kadambari and Gyanoday. His daily column “Pratidin” in Navbharat Times was published for seven years and increased the newspaper’s circulation. His book, Jeep par Sawar Illian (“Leeches riding the Jeep”), is a comic satire on government officials riding in their official vehicles. In all he wrote fourteen books: Parikrama, Kisi Bahane, Tilasm, Jeep par Sawar Illian, Raha Kinare Baith, Meri Shreshth Rachnaye, Dusri Satah, Yatha Sambhav, Yatra Tatra Sarvatra, Yatha Samay, Ham Bhrashtan ke Bhrasht Hamare, and Pratidin in three parts. Ek Tha Gadha Urf Aladat Khan. This satirical play was one of the most popular plays of last decade. Directors including R.S. Vikal, Arvind Gaur and Mustak Kak (Sri ram Centre) have presented it. Madhya Pradesh government has instituted an award in his memory titled, “Sharad Joshi Samman”, given each year to individuals for outstanding achievement in the field of writing. It includes a cash award of Rs. 51,000 and citation. Next Facts about Month of May!